It was supoes to be free?? that was the idea whem google announced 2 years ago??? 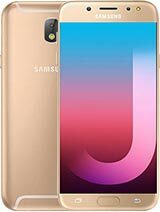 they said that the sponsors will pay the cost of this phone. 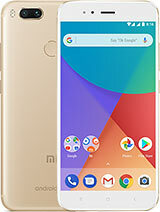 looks to be a promising phone, manly for it's default instillation of android, it will release in Europe, maybe a few weeks after US, I am not sure. 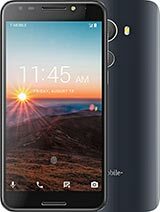 contract price will be sub $200 or $400 with out contract, either way, this will be a great phone for the price, much better the the iphone. as I know this OS is LINUX based... is it possible to install windows mobile 6 on this phone??? ill w8 for the next generation lol (if it comes). it has some nice specs but then lacks some really basic ones. come to think of it, iphone lacks lots of basic specs its probably just down to the marketing. anyway wen they make this itll b better than the iphone at least according to specs listed but apple fanboys cr8 an unbelievable hype over sometin thats just ok making ppl think iphone is much better than it truely is. "65k colours" is not a resolution. my only complaints is the 65k resolution, the huge buttons at the bottom, no flash, video conference and the design is bad. HTC have great ideas but never seem to put enough effort in the phone. Is it only coming to the US? I live in Finland and wondering if its coming here. you say that Android OS has no apps but the truth is google make this OS opensurce and give $10000 to the best app for android so tahn 1/2 months are so many apps to this OS. that dude, 27 Sep 2008at the end of tha day u buy a phone that will work for u....so if tha phone don't work for u t... moreso what exactly does it do? I mean most phones these days cost under 300 with two year contract thanks to apple. 200 dollar phones have gps, mp3 player wifi internet 3g. I can tell u what this phone doesn't have. Like video recording, a2dp. Flash decent camera, second camera for video conference and hd. Plus the res on this phone is 65k. The Apple fanboy in me says that this phone might be okay but nowhere near as great as the iPhone. The geek in me bows down to our Google overlords and promises to buy this phone. HTC is great for just about everything- if only they would lose the downgraded cameras. Google has access to everything ever uploaded on the web. Every picture, every document, everything. They gatehered all the internet's information. Wait for SEKAI CAMERA. Our world will become a VH1 pop-up video. Check it out on YouTube (owned by Google). BTW, Picasa rules! Anonymous, 25 Sep 2008I've been lucky enough to get my hands on a prototype of one of these as I work for T-Mobile. ... moreI notice it says nothing about a video player as I want to go to Deafmissions.com and watch their daily devotions done in American Sign Language videos. Will I be able to do this and also I do not have 3G where I live. How slow would getting a web page loaded be about? 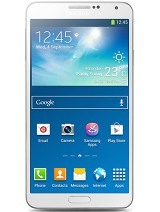 I notice it does have 2G, GSM and edge but will that be too slow. Worth for me to get one? I am a TMobile customer and the service is very friendly. Thanks. drew, 26 Sep 2008its funny how people want to down play everything just bacause it doesnt meet their standards ... moreI notice it did not say anything about being able to play MPE4 movied other than Youtube. Anyone know about that. I also do not have 3G where I live and wonder how slow will the G1 be without it? Just wondering if its worth buying if I do not have 3G. I am also a t-mobile customer.